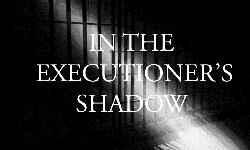 Support for the death penalty in the United States dropped by two percentage points over the last year and opposition rose to its highest levels since before the Supreme Court declared existing death penalty statutes unconstitutional in 1972, according to the 2015 annual Gallup Poll on the death penalty. Gallup reports that 61% of Americans say they favor the death penalty, down from 63% last year and near the 40-year low of 60% support recorded in 2013. Support was 19 points below the 80% who told Gallup in 1994 that they supported capital punishment.